Motorbike. 44mm Piston Kit with 10mm gudgeon pin for 2 stroke 49cc petrol engines. Motorbike, Scooter Parts. Boat, Trailer. Bike Kits. Bike Parts. Car, Caravan, Boat, Trailer. Garden, Industrial Parts. 1.0L Chainsaw Gasoline 25:1/50:1/40:1/20:1 Ratio Fuel Mixing Bottle. 1 Fuel Mixing Bottle. 2 Worm Gear. Fits: HUSQVARNA 61 66 266 268 272 268XP 272XP Chainsaw. 1 Oil Pump. Why choose us?. Timber Tuff Chainsaw Lumber Cutting Guide. A convenient tool to allow you to utilize your chainsaw to customize your next project. 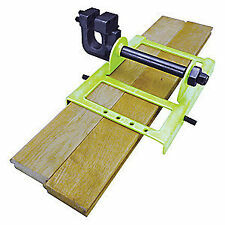 Attaches To Any Chainsaw To Cut 2" X 6" Pieces Of Lumber. Blade Clamp Opening is 1/2" Wide X 2" Deep. Rocwood saw chain has the durability to accommodate all conditions and climates. The chain is sharpened at the factory to ensure 100% accuracy and uniformity so that sharpness from the box to the chainsaw is at its optimum. Carburetor Adjusting Splined Screwdriver For ZAMA CARB H/L Chainsaw Tool. 1 x Spline Shaped Carburetor Screwdriver. These adjusting tools are a "must" to keep these 50 hr rated, small, 2 cycle, machines running. 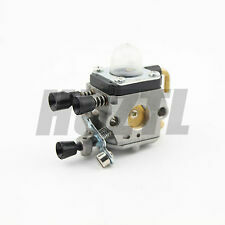 DM40 Multi Purpose Saw UT-05027-->Clutch, Engine Internals & Ignition. 410SL Chain Saw UT-10587-B-->Engine. 14" Chainsaw Guide Bar 3/8 LP 50DL Saw Chain Set For STIHL MS170 MS180 MS250. MS170, MS180, MS181, MS190, MS191T, MS192T, MS200, MS200T, MS210, MS211, MS230, MS250, 017, 018, 020, 021, 023, MS171, MS193T, MS231, MS251, 025. Depth gauge file guide & bar groove for 1/4" 3/8" P 0.325" chain saw chainsaw. Universal, suits for 1/4" 3/8"P 0.325" chain saw chainsaw. 1 Chainsaw Chain File Guide & Bar Groove. With top angle cutter filing guides and a file size gauge. 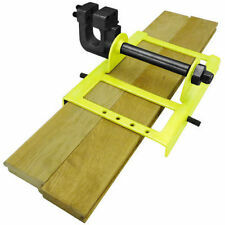 This electric chain saw sharpener mounts to a bench, wall or vise for convenient sharpening of your chain saw. Featuring a 4200 RPM grinding speed, large side safety guard and chain rotation rollers to advance links, this chain saw sharpener is quick, safe and powerful. Fit for Chinese Chainsaw 2500 25CC Ignition Coil. Ignition Coil Module. 1 Ignition Coil. Made of high quality material, durable and practical to use. Type: 1X Pac man, 1X Single D, 1X Double D, 1X Hexagon Hex Socket, 1X 7-Teeth Splined,1X 21-Teeth Splined. 1X 6PCS Screwdriver Set. Fits for most 2 cycle engines;. Rotate head type: Round. Explosion-proof: YES. Stihl 25" 63cm Rollomatic E.
Ignition Coil for Chinese made 38cc Chainsaws. Key Feature 1: Ignition Coil For Chinese Made 38Cc Chainsaws. Giftware, Clearance & Sale. Garden, Industrial Parts. Electric Fun Bike Parts. Dirtbike, Pitbike Parts. Pictures are accurate; you will get what you see in the picture. Weight: About 100g. We will do our best to resolve the issue. Compatible with: Fit for Stihl MS230 MS250 023 025. Item included: 1 x Chainsaw Chain. Drive Links: 62. Condition: 100% new. Piston Stop Tools for Many Models Chainsaws. Quantity: 1pc. 1 Piston Stop. Note: The real color of the item may be slightly different from the pictures shown on website caused by many factors such as brightness of your monitor and light brightness. Fits: STIHL 024 026 034 036 MS360 MS260 PRO CHAINSAW. Pictures are accurate; you will get what you see in the picture. We will do our best to resolve the issue. Replace original parts 9640 003 1600 and 9640 003 1190. NOTE THIS KIT IS NOT MADE IN CHINA. Fits: Chinese 2500 25cc Chainsaws. Pictures are accurate; you will get what you see in the picture. Similar To Husqvarna Part No: 505 53 20-71 & 505532071. is a quality Rocwood item.